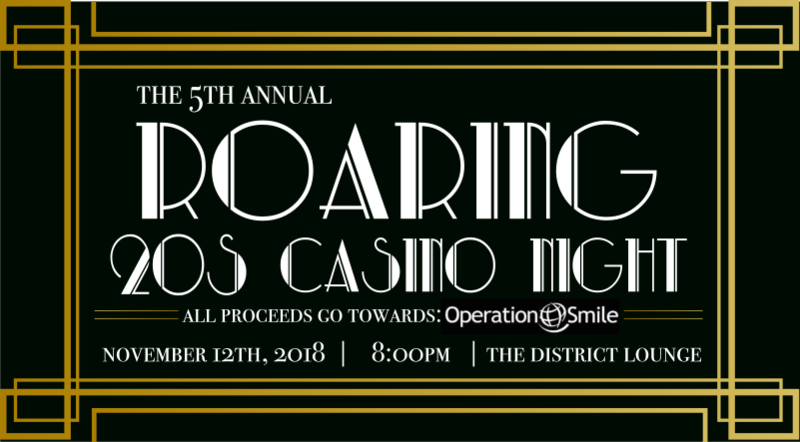 Join Fenix Consulting Group for our 5th Annual Roaring 20’s Casino Night! Come play poker, black jack, craps, or roulette for a great cause! All proceeds will go towards Operation Smile, an international medical charity whose global network of surgeons volunteer their time to help children born with cleft lip, cleft palate, and other facial deformities. We are excited to make this our BEST YEAR YET! This year we are providing 2 ways of donating! Doors open at 8:00 PM. Come dressed in your best ROARING 20’s attire ! Contact Sandra or Molly if there are any questions at 714.385.9779.